Week 3 was a great week for tournaments if you are a bit more of a contrarian player. 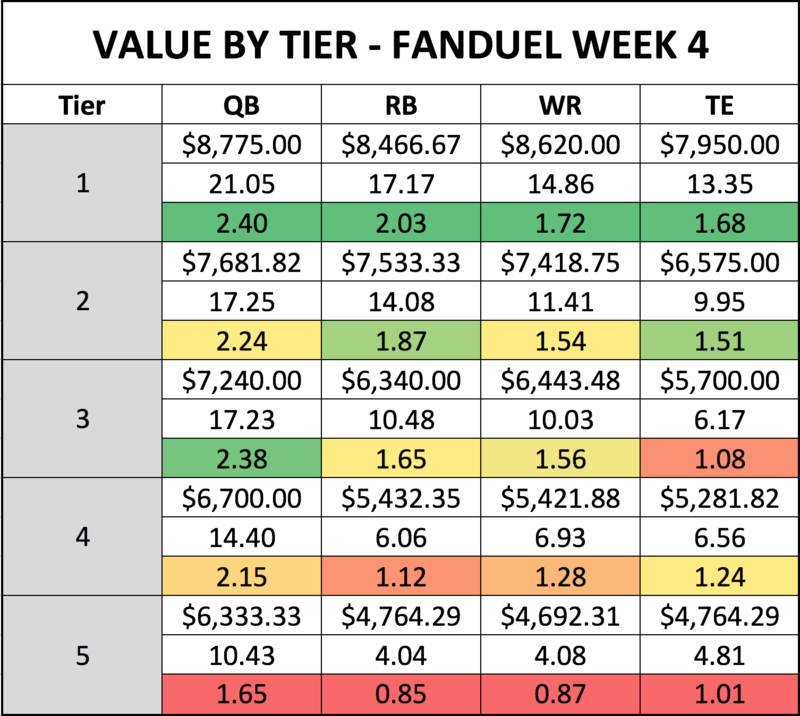 More of the chalk will hit this week — but you’ll still need a few contrarian plays to take down a GPP. As noted in my Week 4 cash game guide, I’m trying to move away from the straight “here’s a bunch of players I like” format of this article to more of a roster construction and strategy piece (as initially intended). I’ll still name a handful of players I like at the top of each positional section with maybe a few tidbits on why I like them for tournaments, but I’ll also spend a good amount of time discussing my reasoning from a lineup building perspective — not just a real-life matchups perspective. I’m always game to hear feedback on what would be most helpful to you, since that’s really the whole point of this. Hit me up on Twitter: @LoechnerNFL.